Rechargeable, vibrating foam roller for increased flexibility, circulation, and ease muscle soreness. Ideal for active individuals needing assistance to loosen and lengthen muscles for flexibility. The HyperIce® Vyper® 2.0 can help warm up the body before activity and reduce muscle stiffness and soreness for a better recovery. Used by elite athletes, the HyperIce® Vyper® 2.0 is the next generation of vibration fitness rollers. 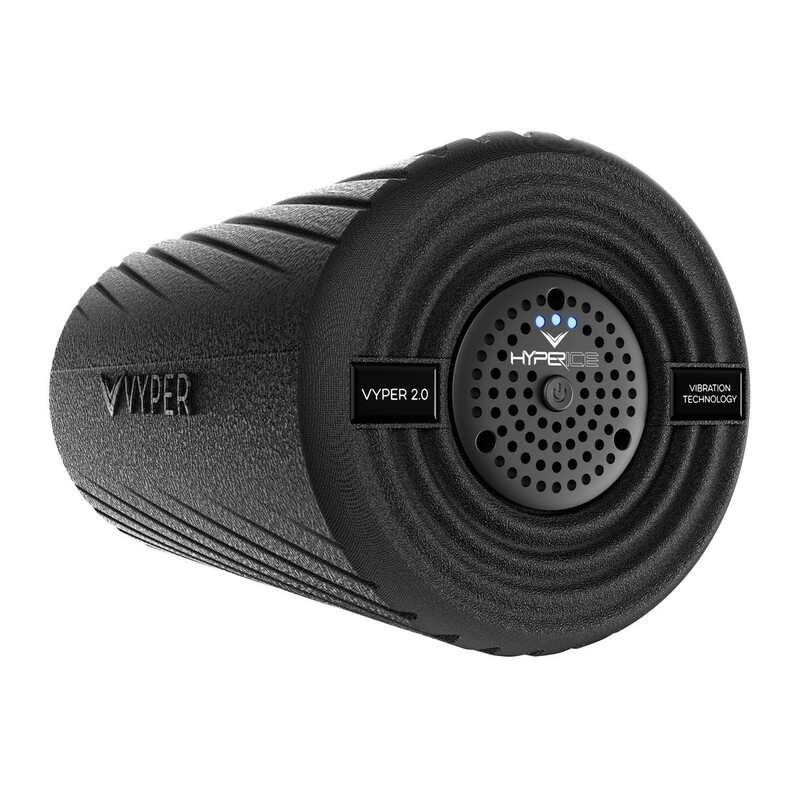 The Vyper 2.0 features three speeds of high-intensity vibration and a dual-zone smooth and grooved exterior for optimal rolling. Combining pressure and vibration, this foam rollers allows active individuals of all levels to increase flexibility and range of motion, ease muscle soreness and stiffness, and improve body performance. The Vyper 2.0 is an optimal self-myofascial release, is ideal for pre-game or pre-workout warm-ups to increase circulation in the body and is a great recovery aid tool. Note: One-year warranty for any product defects. Does not apply to normal wear and tear. HyperIce® and Vyper® are registered trademarks of Hyper Ice, Inc.
Open the brace and lay with Boa® knobs and silver panel face-up. Lift the Boa® knobs to loosen the lacing system. Adjust the brace size by lifting each of the silver panels and aligning with one of the slime green semi-circles on each side. Align the lacing system over your spine, keeping the "BIONIC™" logo legible. Slide your right hand into the finger slots to wrap brace around waist. Secure the contact closure, right over left, so the brace is snug. Push the Boa® knobs down and turn for micro-adjustment and additional compression. Hand wash in warm water using mild soap, rinse thoroughly. Air dry.